The Legislature finds that the failure of an employer to comply with the workers’ compensation coverage requirements under this chapter poses an immediate danger to public health, safety, and welfare. The department shall enforce workers’ compensation coverage requirements, including the requirement that the employer secure the payment of workers’ compensation, and the requirement that the employer provide the carrier with information to accurately determine payroll and correctly assign classification codes. – Conduct investigations for the purpose of ensuring employer compliance. – Enter and inspect any place of business at any reasonable time for the purpose of investigating employer compliance. – Examine and copy business records. – Issue and serve subpoenas for attendance of witnesses or production of business records, books, papers, correspondence, memoranda, and other records. – Issue stop-work orders, penalty assessment orders, and any other orders necessary for the administration of this section. – Enforce the terms of a stop-work order. – Levy and pursue actions to recover penalties. – Seek injunctions and other appropriate relief. – Specify by rule the business records that employers must maintain and produce to comply with this section. – Adopt rules to administer this section. Worksite for purposes of this rule means a place in Florida where an employer conducts business operations. Upon service of a stop work order on an employer, the stop work order shall be effective upon all employer worksites in the state for which the employer is not in compliance. – If the employer failed to meet the coverage requirements of Chapter 440, F.S., all worksites of the employer in the state are not in compliance and the stop work order shall be in effect for all the employers’ worksites requiring the cessation of all business operations for such employer in the state. 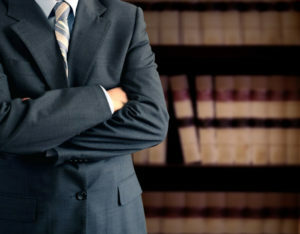 – If an out-of-state employer that is required to provide workers compensation coverage for employees engaged in work in Florida failed to obtain or maintain a Florida policy or endorsement that utilizes Florida class codes, rates, rules, and manuals all worksites of the employer in the state are not in compliance and the stop work order shall be in effect for all the employers worksites requiring the cessation of all business operations for such employer in the state. – If the employer failed to produce the required business records within five business days after receipt of the written request of the department, all worksites of the employer in the state are not in compliance and the stop work order shall be in effect for all the employers worksites requiring the cessation of all business operations for such employer in the state. – If the employer has materially understated or concealed payroll, all worksites of the employer in the state are not in compliance and the stop work order shall be in effect for all the employers worksites requiring the cessation of all business operations for such employer in the state. – If the employer materially misrepresented or concealed employee duties so as to avoid proper classification for premium calculations, all worksites of the employer in the state are not in compliance and the stop work order shall be in effect for all the employers worksites requiring the cessation of all business operations for such employer in the state. – If the employer materially misrepresented or concealed information pertinent to the computation and application of an experience modification factor, all worksites of the employer in the state are not in compliance and the stop work order shall be in effect for the employers worksites requiring the cessation of all business operations for such employer in the state. – If the employer is a contractor that sublets any work at a particular worksite to a subcontractor and the contractor and subcontractor each failed to secure the payment of compensation for the subcontractor or the employees of the subcontractor engaged in work at the particular worksite, then a stop-work order issued to the contractor shall require the cessation of all business operations of the contractor at that particular worksite. What Records Will be Requested? Every employer shall maintain employment records pertaining to every person to whom the employer paid or owes remuneration for the performance of any work or service in connection with any employment (Where remuneration is paid or owed on an hourly basis, the record shall indicate the day, month, and year of work or service and the number of hours worked by the person during each pay period. Where remuneration is paid or owed on any basis other than hourly, the record shall specify the basis, such as competitive bid, piece rate, or task, and indicate the day, month, and year, when remuneration was earned). Every employer shall maintain all workers compensation insurance policies obtained by the employer and all endorsements, declaration pages, certificates of workers compensation insurance, notices of cancellation, notices of non-renewal, or notices of reinstatement of such policies. – Every employer shall maintain all premium audit documents provided by the workers compensation carrier to the employer and all premium self-audits, together with supporting documentation. – Every contractor shall maintain evidence of workers compensation insurance of every subcontractor and for every subcontractor that has an officer or a member who elects to be exempt from the coverage requirements of the workers compensation law the contractor shall maintain a valid certificate of election to be exempt. Contracts: Each employer shall maintain complete executed written contracts between it and a general contractor, subcontractor, independent contractor, or employee leasing company and – any records that establish the statutory elements of independent contractor. An employer under the workers compensation law shall maintain the records specified in this rule for the current calendar year to date and for the preceding two calendar years. An employer shall maintain the records specified in this rule at the corporate registered office, principal place of business, or job site in Florida. – The Stop Work Order shall remain in effect until the department issues an order releasing the stop-work order upon a finding that the employer has come into compliance with the coverage requirements and has paid any penalty assessed. – May obtain an order of conditional release from a stop-work order upon a finding of compliance with coverage requirements and agreement to remit periodic payments of the penalty pursuant to a payment agreement schedule with the department. – To obtain a conditional release one must make a payment of $1,000. – Any penalty due pursuant to the service of a stop-work order shall, until collected, constitute a lien upon the entire interest of the employer, legal or equitable, in any property, real or personal. – If the employer is a corporation, parties in actual control of the corporation, including, but not limited to, the president, officers who exercise broad corporate powers, directors, and all shareholders who directly or indirectly own a controlling interest in the corporation, are considered the employer. – Stop-work orders and penalty assessment orders shall be in effect against any successor corporation or business entity that has one or more of the same principals or officers as the corporation or partnership against which the stop-work order was issued and are engaged in the same or equivalent trade or activity. The department shall assess a penalty of $1,000 per day against an employer for each day that the employer conducts business operations that are in violation of a stop-work order. Any law enforcement agency in the state may render any assistance necessary to carry out the provisions of this section, including preventing any employee or other person from remaining at a place of employment or job site. – It shall be unlawful for any employer to knowingly fail to secure workers’ compensation insurance coverage if required to do so. – Make any false, fraudulent, or misleading oral or written statement, or to omit or conceal material information for the purpose of avoiding, delaying, or diminishing the amount of payment of any workers’ compensation premiums. – Misrepresent or conceal payroll, classification of workers, or information regarding an employer’s loss history for the purpose of avoiding or diminishing the amount of payment of any workers’ compensation premiums. – Present or cause to be presented any false, fraudulent, or misleading oral or written statement as evidence of eligibility for a certificate of exemption. – Violate a stop-work order issued by the department. – Any subsequent violation within 5 years after the most recent violation shall be deemed a knowing act.